Meanwhile, in small bowl, stir frosting, butter and rum with spoon until smooth. 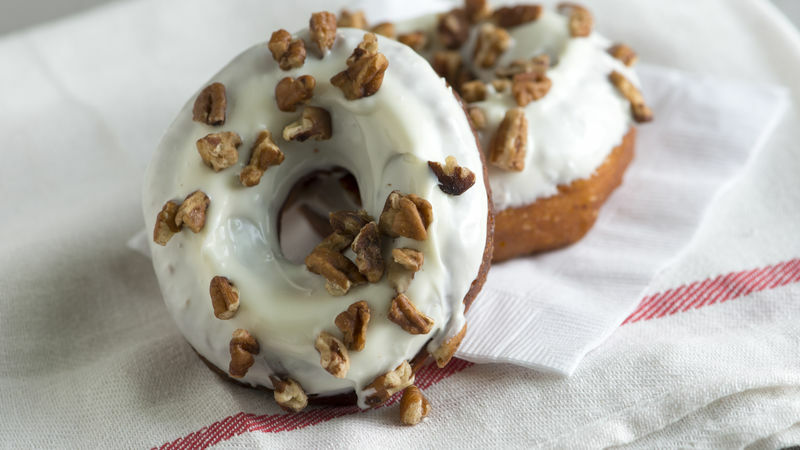 Dip one side of each doughnut into glaze; top with chopped pecans. Substitute your favorite flavor of frosting.